Do you or someone you know have cancer? 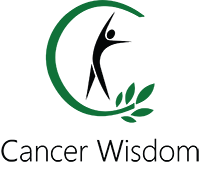 Are you tired of dealing with chemo, radiation, and surgery? Want to try a natural way to treat cancer without having side effects? ﻿﻿﻿Download our Prevent Cancer Cheat Sheet now to learn how to avoid cancer. Yes I Want To Prevent Cancer Now! Our mission is to help cancer suffers in treating cancer the natural way. We started this blog in 2016 and our aim is teach the whole world the gentle method to treat cancer. If you want to learn about diet, emotional healing and detox for cancer please subscribe to our newletter.